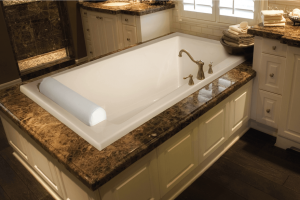 Everyone wants a great bathtub for their home, and manufacturers know this, which is why they are spending a lot of time pumping out as many tubs as they can. It can definitely be a grueling process to go through them all and try to find one that meets all of your needs. This is why we are going to try and make it easier for you. 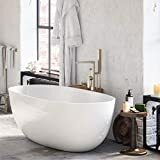 Before you buy a bathtub, consider all of these things: How tall is the tallest person in your family; do you want it separate from the shower; how deep do you want it to be; and what features do you want in the bathtub? The more you can answer, the easier it is going to be for you to narrow down your search. 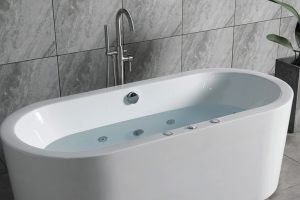 Above all else, the important factor when it comes to buying a tub is comfort. There is no point in buying a bathtub that you cannot relax in. We like to view the shower as the fast way to cleanliness of the body, but the bathtub is a way to soak, let the muscles relax and just take in the warmth of the water. There are plenty of cheap tubs on the market today; they may be cheap in price, but they are also cheap in quality. They are uncomfortable and there is no way to relax in them. Today we have put together a list of three of the most comfortable bathtubs on the market right now. It is our hope that by organizing them into this guide, it will be easier for you to find the most relaxing tub experience. 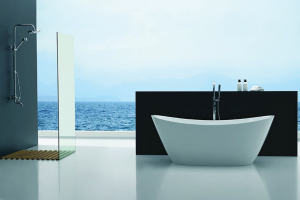 This first comfortable bathtub has been made with hydrotherapy technology. It was built to allow you to completely relax your body and massage areas of that need it the most after a long day. This bathtub comes with a water jet pump that has 750W worth of power. The Freestanding Jetted Massage Hydrotherapy Bathtub is equipped with both full-body and sidewater hydrotherapy jets. These are specifically made to massage areas of the body that experience the most amount of stress. Many of us carry a lot of tension in our backs, and this is where the jets can aim, releasing the muscles to feel relaxed. This tub also comes with a hand-held shower wand that allows you to clean wherever you need to. This also comes with jet nozzles and a water faucet. 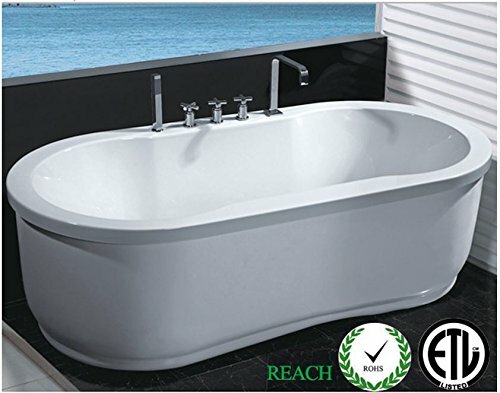 This next bathtub is one of the most lightweight bathtubs we have found, making installation really easy. This tub is made of acrylic that is also known to insulate more, ensuring that the water will stay at the temperature you set it to. 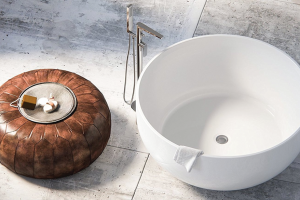 This tub has a glossy white finish, and it looks very high end. It has a durable design and is constructed to perfection. It also comes with a drain. This also has a great modern look that is going to make any bathroom look fantastic. The final most comfortable bathtub we will be taking a look at also has an amazing look. It is shaped as an oval, and is very modern in design. Both the exterior and the interior walls are incredibly smooth, so you easily can relax. It has been made with some of the best quality construction on the market right now, made out of acrylic. This material is both durable and lightweight, making it easy to install. All three of the products above are some of the most comfortable bathtubs on the market right now. They vary in price, but are well worth every penny as they offer you the best relaxation you deserve. We encourage you to go to all of their links to look at them, check out their pros and cons, and then read customer reviews to see what those who already have experience with the product have to say. 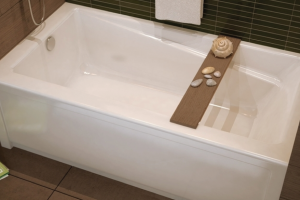 This way, you will have a better idea of what these comfortable bathtubs can offer you. 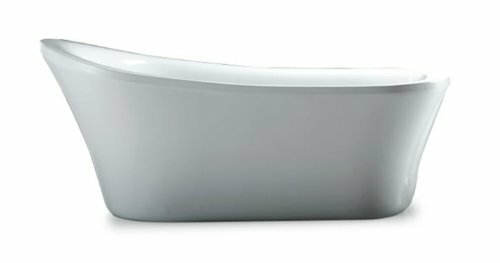 How to refinish a clawfoot bathtub Which bathtub to buy?